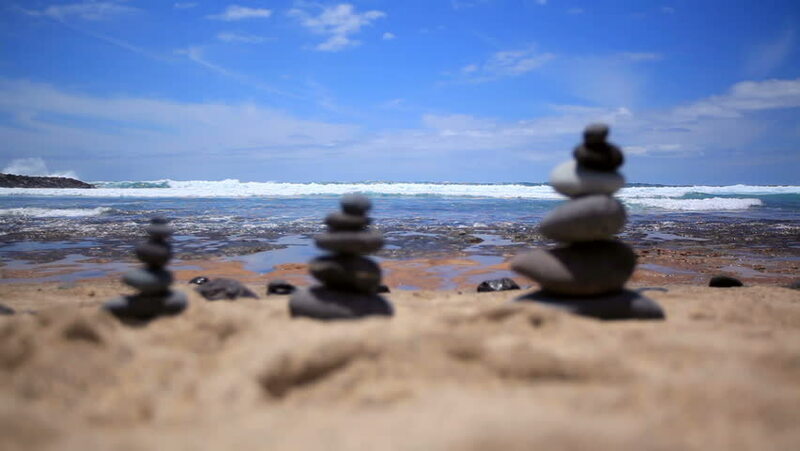 Stones balance on vintage beach, inspirational summer. Picturesque sea landscape. Tenerife. Ocean. Sea waves. Beach. 4k00:49Stone stack at the black lava beach of La Palma, canarian islands. A fishing boat crosses the tranquil summer scene. 4k00:13A pyramid of stones stands on the sandy shore of a mountain river. hd00:08stacks of round shore pebbles near a beach and the forest edge.